Your teachers are opening up about topics that they are passionate about! (That aren’t in their lesson plans!) 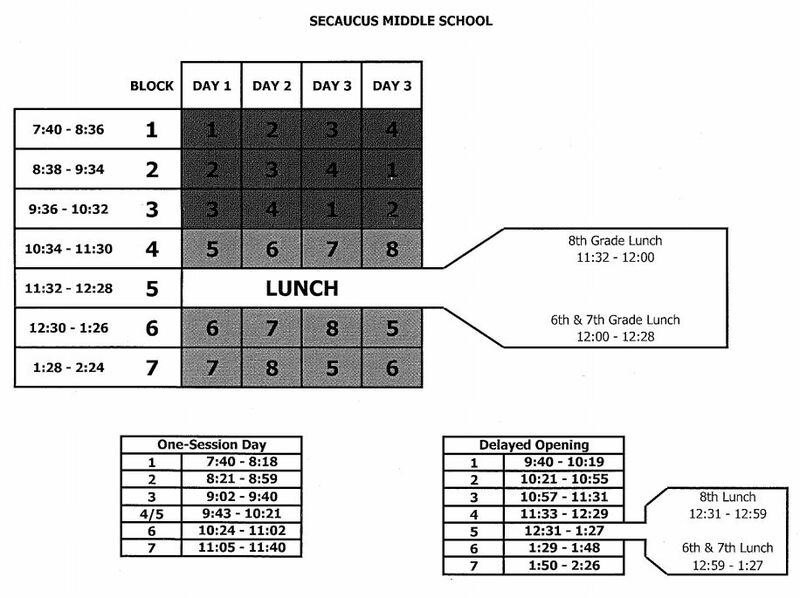 Once a month one or more teachers will be presenting a topic during lunch. Watch out for flyers and announcements to see who is presenting this month! 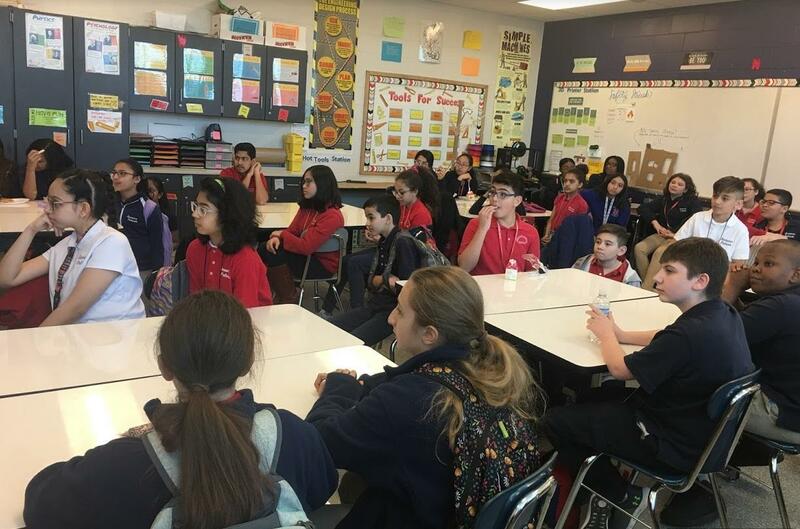 In January, Ms. Capobianco presented to a classroom full of students on her love for the environment. 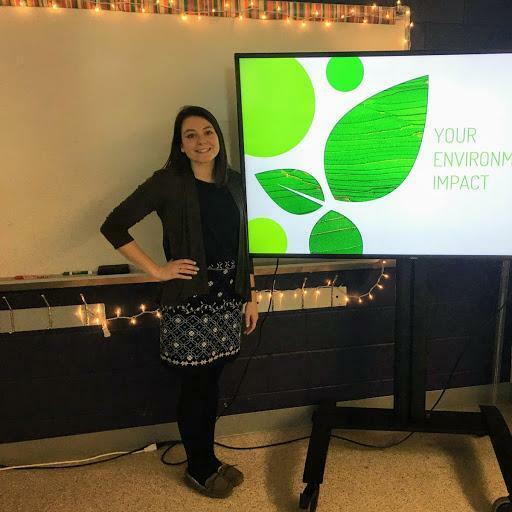 The Teacher Talk was entitled “Your Environmental Impact”. Check out her presentation here and take the quiz on how large your ecological footprint is. Ms. Capobianco Kicks Off the First Teacher Talks! 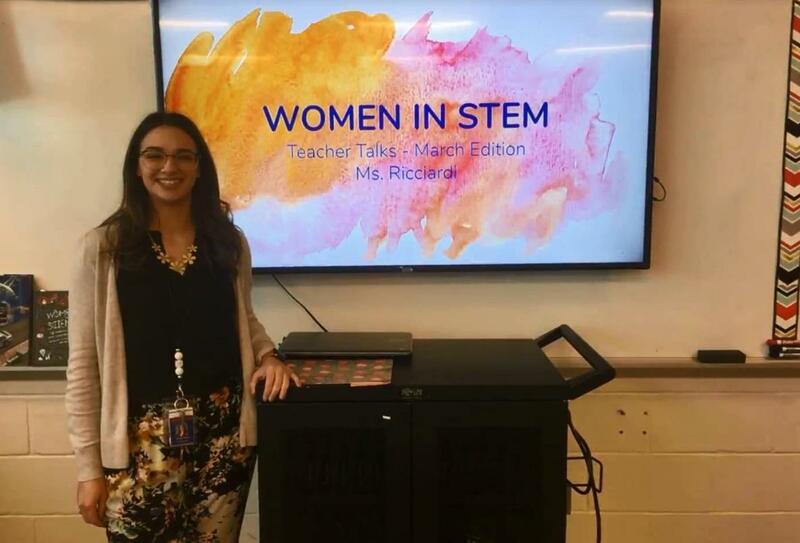 In March, Ms. Ricciardi presented to a classroom full of students on a topic very important to her and so many across the world: Women in STEM. We were so proud and excited with how many boys showed up to learn about and support Women in STEM as well! Check out her powerful and inspirational presentation below. We had such a GREAT Turnout for Women in STEM from both boys and girls!